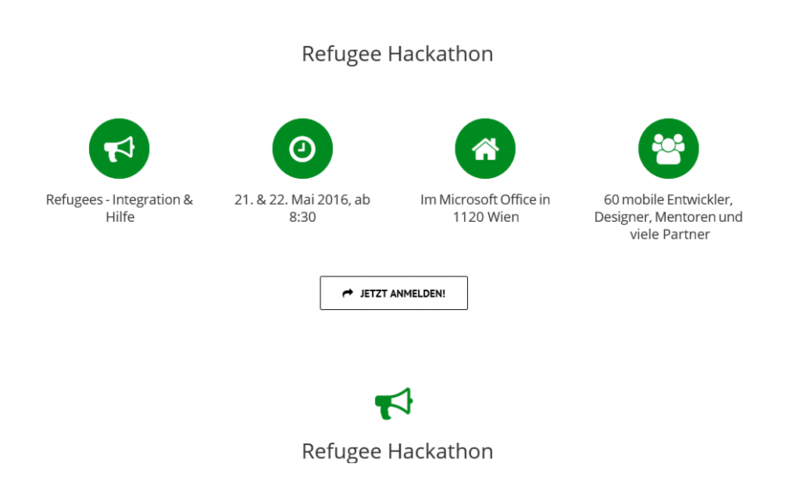 Now we look forward to the refugee hackathon Austria, which on the 22.05. will take place at Microsoft in Vienna. We were raised as a result of our successful welcome-app-Germany project, but also because two of the initiators and operators by HeiReS – are excellent: Lars and Peggy – with the honorary title of Microsoft MVPs. As partners, we will in detail present the project of welcome app to the interested public and are honestly answer. Lars and Peggy travel but also as a passionate developer or Designer to Vienna to become the local participant to the side with support services for other projects resulting in the hackathon. We are pleased to be huge next to the greats like Microsoft, the Red Cross, the city of Vienna, the Foreign Ministry of Austria, mobility.builders developer community, WhatAVenture, Tieto, NetIdee and pot travel partner of the hackathon. Maybe, so yes a true export success is from the welcome app Germany. We will do our best. Who at the weekend from the 22.05. still nothing has before and want to do something good, find a great destination in Vienna.